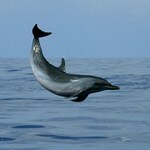 Guaranteed dolphin sightings or come again FREE! 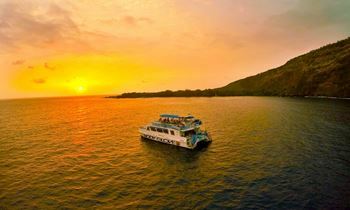 Step aboard this double–decker catamaran, loaded with luxury features to provide you with most comfortable snorkeling experience. 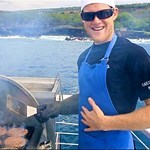 Cruise 10 miles to a protected and secluded marine sanctuary teeming with thousands of tropical fish. Bring your suit and towel, everything else is included: island style breakfast, BBQ lunch, sunscreen, snorkel gear, flotation toys, 20’ water slide, bathrooms, showers and a full service cash bar. For the more adventurous upgrade to SCUBA or rent a GoPro or wetsuits. Great family fun! 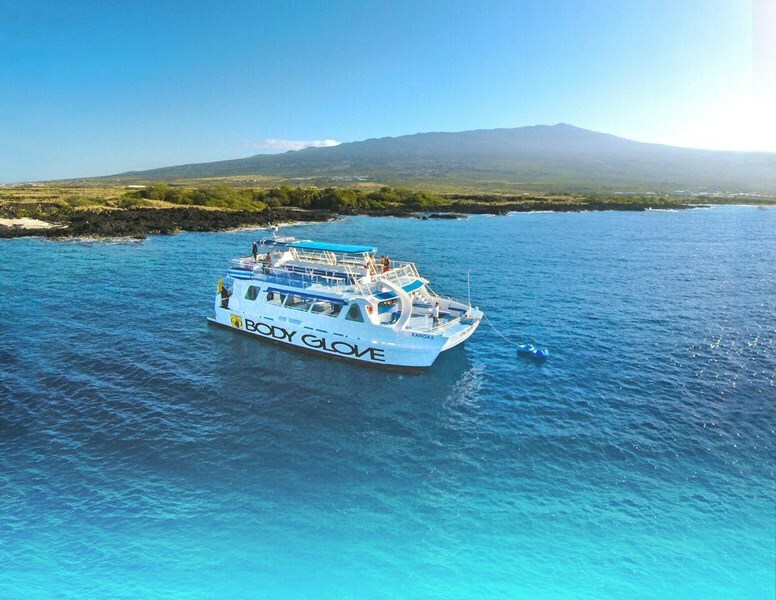 Discover Kona’s underwater paradise! Accessible only by boat, join us in the crystal clear water of the protected marine sanctuaries which are home to more than 600 species of enchanting ocean wildlife. 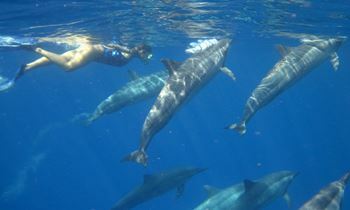 Spinner dolphins frequently join us along the way, and sometimes they’ll even join our guests in the enchanting coral reef gardens where you’ll be snorkeling. 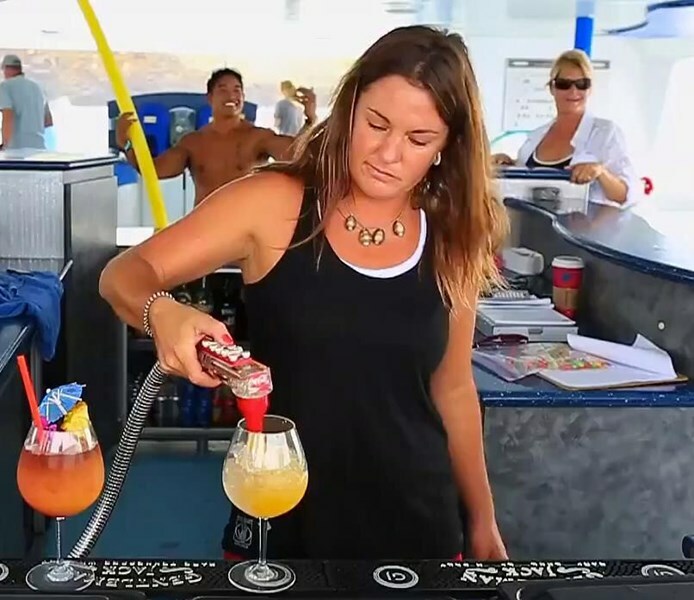 Relax on the trip back with a cocktail from our premium cash bar and enjoy the timeless beauty of the Kona coastline. First-timers or experts of all ages can snorkel with us and we provide all the equipment you’ll need including Reef Safe sunscreen. For beginners, we provide friendly instruction from our lifeguard-trained crew. Let us introduce you to the awe inspiring world of Hawaii’s underwater paradise! If you’re a certified diver, you can SCUBA dive with us for an additional fee. For those who wish to discover SCUBA, beginner lessons are available on the cruise with a PADI instructor. All gear is included! Daily 7:30 AM 4 hours 30 minutes Directions can be seen in the booking page & will be included in your confirmation email. See map below for approximate location. 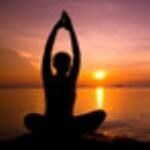 Guests will receive a full refund with 48 hours notice of cancellation. Full refunds will be given in case of operator cancellation. 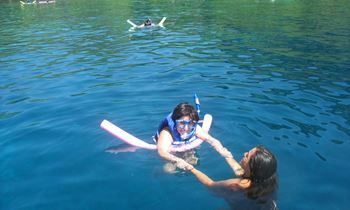 I have been on many snorkeling excursions around the world and the one with Body Glove on Dec. 23 was the best ever. The crew provided excellent safety instructions and the equipment was more than adequate. A great experience! We were cruising around Hawaii and stopped in Kona for the day. Decided to go snorkeling with this tour. It was a great day! I would totally recommend this company and trip. There was a Snuba instructor on board and for a few extra dollars he would take you Snubaing. As a first timer and always wanted to try it was great. Andres I believe his name was was awesome. He took it slow to make sure you ... morewere comfortable and stated with you! It was truly very cool to be about 25 ft below water! After our dive we came back to boat. Lunch was burgers and fixings and very good too. Lots of time in water to snorkel, play, float or Snuba! The focus of this boat is family snorkeling but they also do scuba. 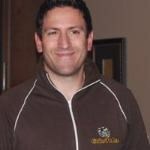 Our dive master was Darrick Troch and he was excellent. There was only myself and one other diver on the trip so we got undivided attention from Darrick. They provide all the scuba equipment you need so all you need to bring is your Scuba Certification card and you are good to go. One unexpected feature of the equipment provided was ... morecorrective lens masks. They looked at my glasses and said I needed a +4. I tried it and it was near perfect for me. Best snorkel cruise ever, simply because of the service. The boat was awesome, the location we visited was good, the food and drinks were good, but the service far exceeded my expectations and the safety measures are far greater than any excursion we have taken. The staff were attentive and wanted to be sure we were always enjoying ourselves. One crew member came around and noticed my 6 yr old was ... morequeezy, so he brought him a ginger ale to make him feel better...that is only one example of the all around great service! "Evan-11" served up some tasty adult slurpees! Our boys, 6 and 9 loved it! The slide and high jump were fun highlights. 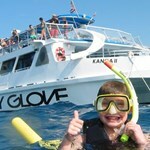 Absolutely the best snorkel cruise for kids. We took the dolphin / snorkel excursion out of Kona 11/6/15. Our 4 year old loved it so much we decided to forgo another activity and take him again today, 11/13/15. Every crew member was fantastic and personable, but John and Evan were hands down the best crew members we've ever encountered. 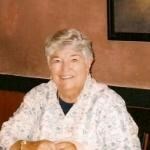 Evan made sure my elderly mother was comfortable and gladly assisted ... moreher whenever she needed it. John connects with children and goes out of his way to make them feel special and accommodate their needs. John, if you ever read this, Tanner thinks you're a really "cool dude." 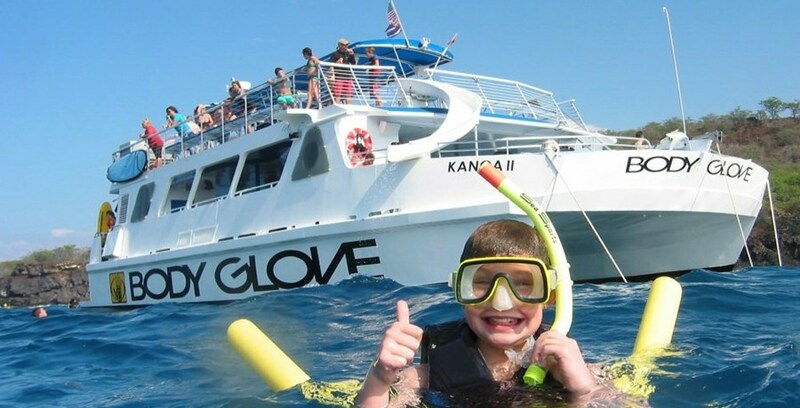 Thank you from making his snorkel trips something he'll remember. 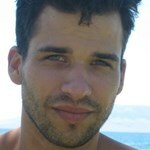 Both John and Evan are huge assets to your company. We appreciate their professionalism and warmth. Thank you for making it an amazing experience for all of us. Money well spent! 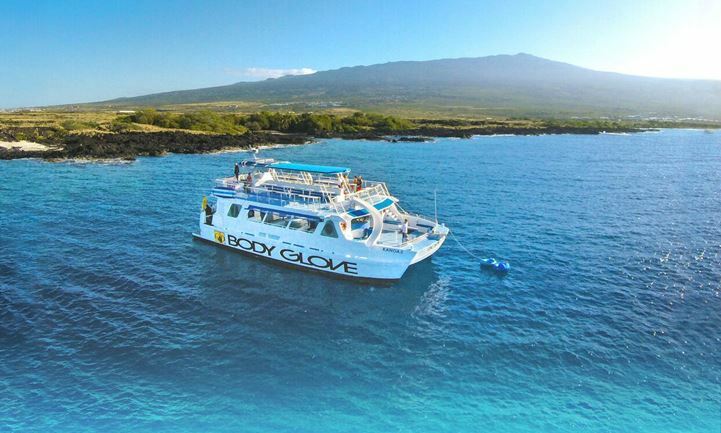 I was so impressed with our experience on the Body glove vessel and their crew! My husband and I took our three kids 18, 8, and 6 year old on a snorkel cruise. The first thing I noticed was the condition of the vessel. It is immaculate! I am a detailed person and pay attention to these things. The crew are all very engaging and want to make sure your needs are met. After eating the great spread of ... morebreakfast with many choices:) the crew came around and talked to all of us. One of the crew sat next to my son for probably 20 min talking to him about the different things he can expect to see. This may sound silly, but even the bathrooms were immaculate! After a great experience, the trip home I noticed that the crew was equally as engaging and helpful on the way back. To me I was already extremely impressed. I have been on enough excursions to notice that many experiences the customer service drops off on the return home leaving you feeling like they got their money they did their job and that's all folks even though the journey isn't quite over. The Body glove crew were consistently hospitable until the moment you step off of their vessel. One of the most impressive things about this Company is how they went above and beyond a week AFTER our excursion. We purchased a dolphin stuffed animal for my 6 year old on the vessel as her souvenir to remember our amazing trip to Kona and our snorkeling excursion with Body glove. She loved her dolphin and named it Lemonaya. She carried it everywhere. On our flight home she dropped it in the airport. We searched with no luck. We contacted the airport, no luck. She was so upset! We called Bodyglove a week later to see if they had more of the same dolphin we could purchase and pay for them to ship to us. It was worth asking, but I thought there was a good chance they wouldn't want to go through the hassle of figuring out the shipping part. The girl that we talked to on the phone was SO empathetic to how my daughter was feeling. Free of charge, she sent a new dolphin to my daughter in the mail!!!!! With a handmade name tag that read "Lemonaya" AMAZING!!!!!!!!! Thank you Body glove! You guys rock!!!! 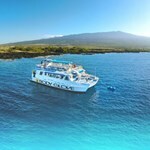 It is a cruise with very good very friendly staff and you get highly detailed information, its amazing to go down the ocean and snorkel and dive the floor of this sea is very beautiful, interesting to see the lava flows now turned to stone, and fish how their colors contrast with soil and corals. 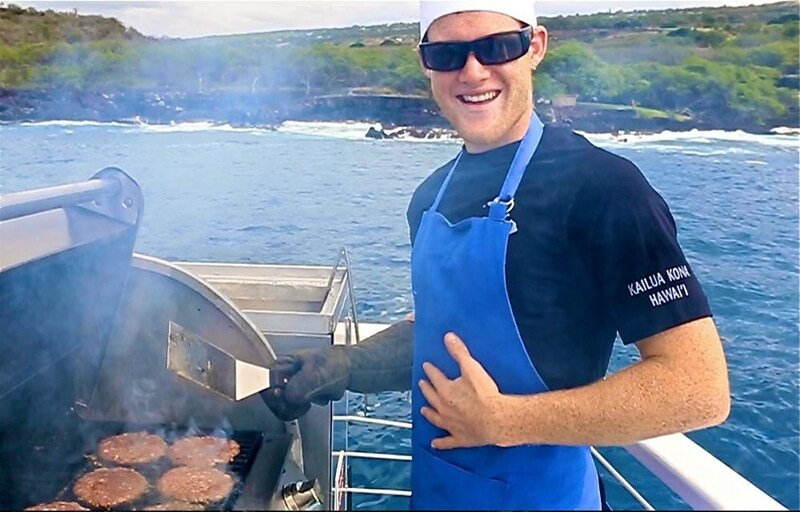 The very delicious burgers and very nice boat crew. 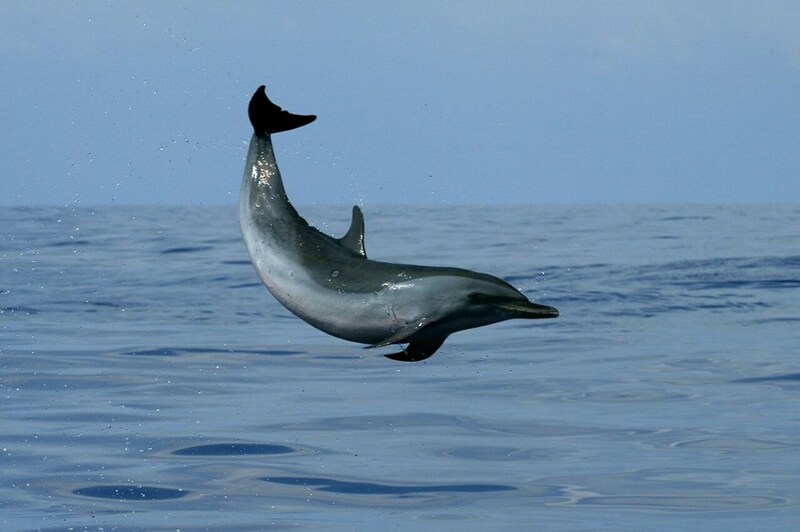 Something unique is seeing dolphins swimming so close ... moreonly !! It's so cute and not to be missed. ! !